I've always enjoyed cooking and baking, although I do admit that preparing three meals a day, 365 days a year sometimes wears me out. ☺ I remind myself often that when I'm serving my family in this way, I'm also serving God. That helps, although I won't say "no" to going out to eat somewhere in town once in a while! While in the kitchen, I'm constantly using my measuring cups, especially when baking. I own two plastic measuring cup sets that I've had for over 20 years. 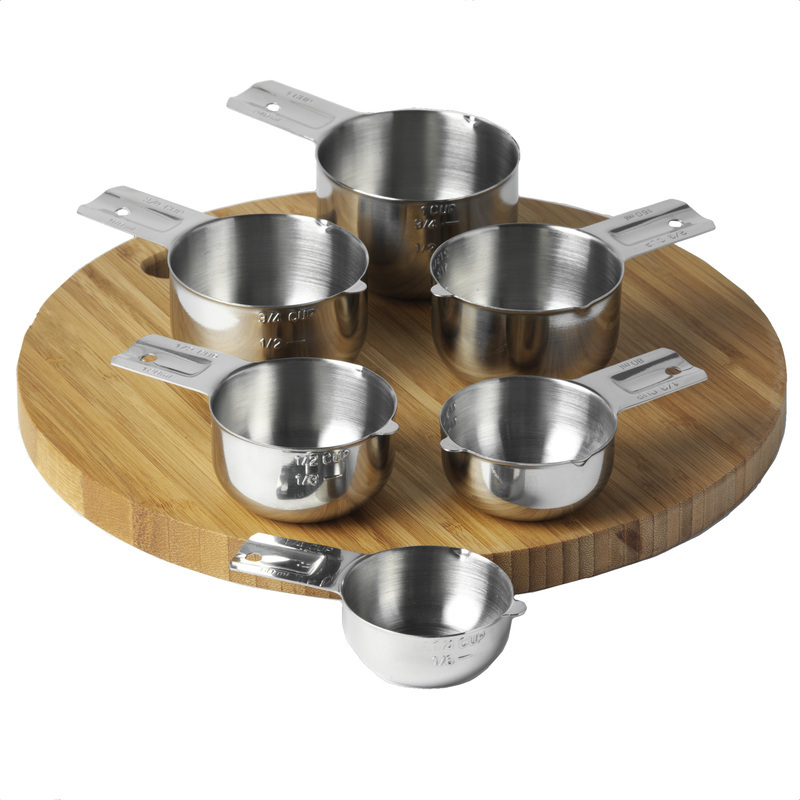 I've been trying to switch to using mostly stainless steel or glass in my kitchen (and retiring my old plastic kitchen things), so I've recently acquired this 6-piece set of stainless steel measuring cups by KitchenMade, that you see here in the photo. 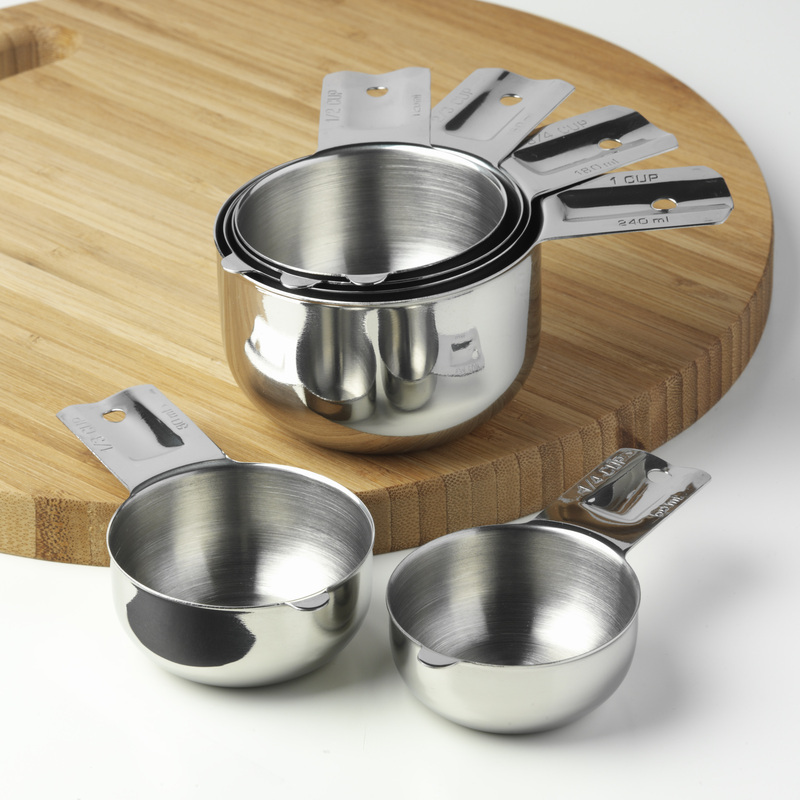 If you haven't used a high quality set of stainless steel measuring cups before, you're in for a treat! This set weighs 15.2 oz. when stacked together, so these are sturdy enough to be used in a commercial kitchen but are still great options for the home baker. These are manufactured from one piece of stainless steel, ensuring that handles will never break off. Their narrow profile fits most containers and packages. They are designed to be "stand alone" cups with flat undersides. 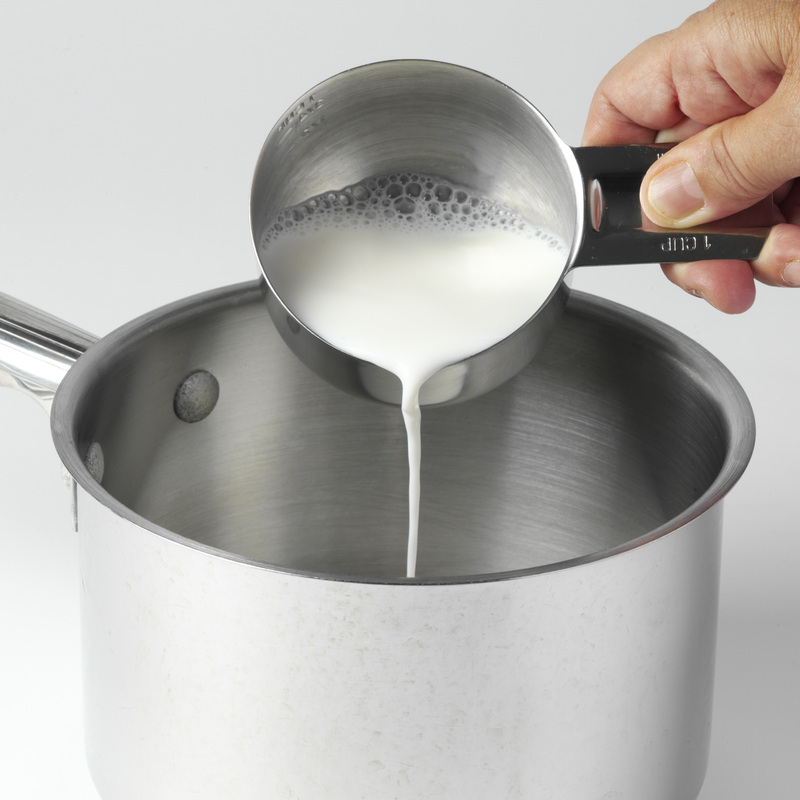 These measuring cups are also designed for liquid ingredients, with an "easy pour" lip. They also have milliliter measurements on the handles for easy measuring. A set of 6 nesting, compact, stackable measuring cups with milliliters and cups engraved on the handle and side of the cup so markings will never rub off. Many of you will want to know the exact measurements. They are in USA standard cup sizes. 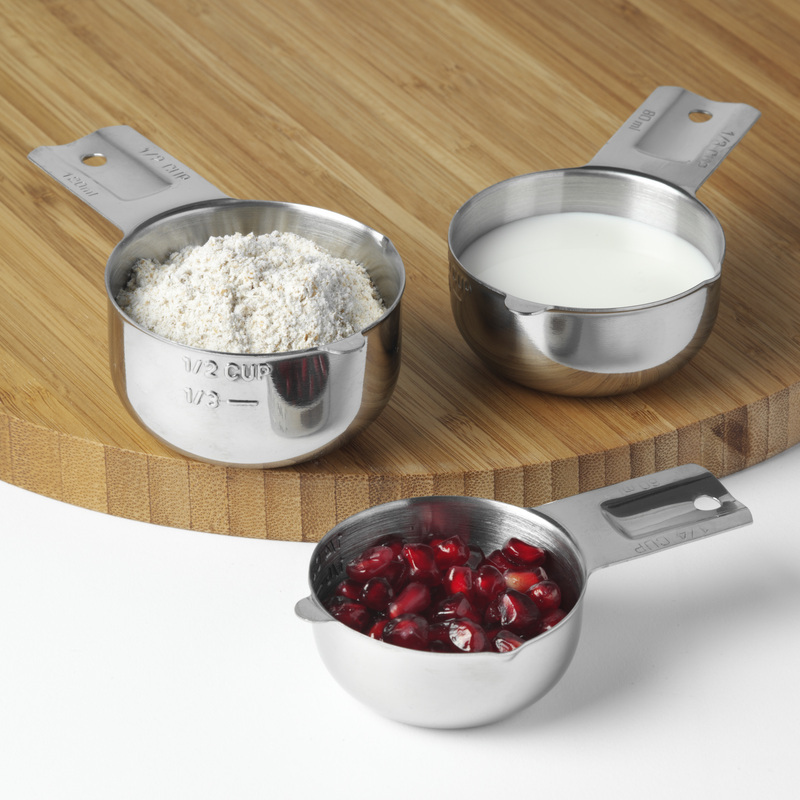 I look forward to using these KitchenMade stainless steel measuring cups for years to come. I'm so glad to have these available for my every day use! You won't want to miss my FREE Trim Healthy Mama low carb-style recipes, tutorials, giveaways, and deals - get them delivered fresh to your inbox!